We spend a lot of our time working on ways to keep folks safe and sound while travelling BC Highways. Did you know that we also spend a great deal of time looking for ways to help fish, fowl and forest creatures find their way as well? That’s the job of our Environmental Management folks and our Environmental Enhancement Fund (EEF) helps them do that. Created in 2003 to help deliver a wide range of environmentally driven projects on behalf of the Ministry of Transportation and Infrastructure, the EEF aims to enhance, restore and conserve BC’s wild natural resources while adding to highway safety, infrastructure, projects, maintenance, and operations. 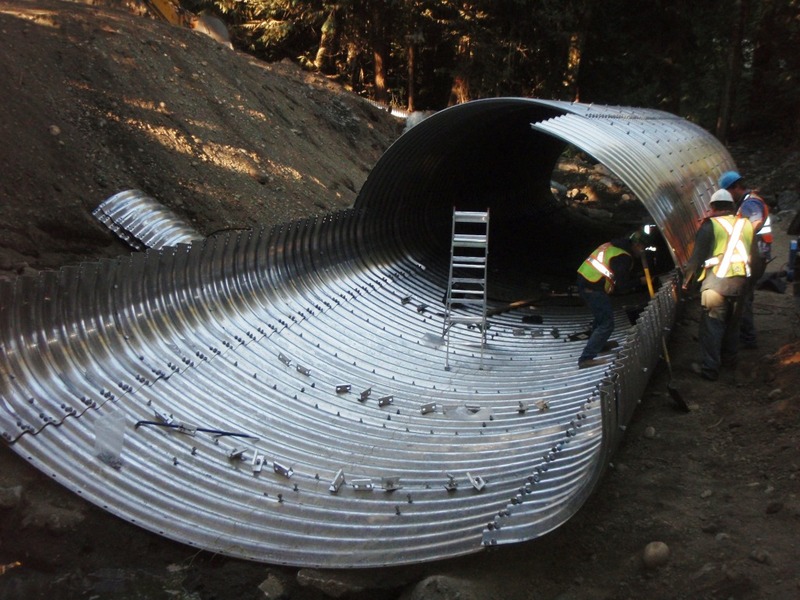 Fish and wildlife passage improvements such as the installation of wildlife tunnels and culvert retrofits to restore pacific salmon and trout access to underutilized habitat. Acquisition and protection of adjacent ecologically sensitive and endangered habitats and ecosystems directly related to a highway project. 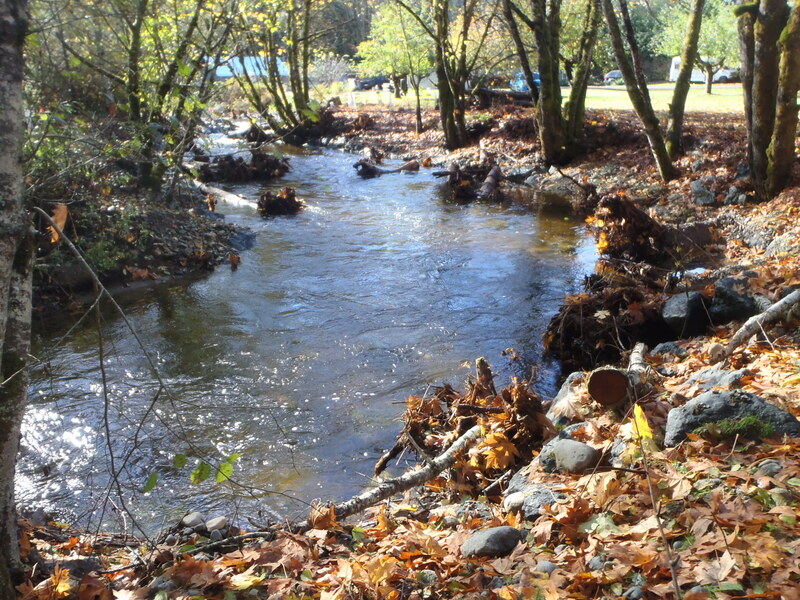 Fish, wildlife and ecosystem habitat restoration and enhancement (including salmon and trout rearing habitat and spawning channels), water storage to create wetlands, habitat complexing and riparian planting enhancements. Other conservation measures such as: transplants to restore native fish and game populations, fishway installations, large wildlife relocation and installation of ungulate exclusion fencing and small wildlife crossing structures. Fish salvage underway along the banks of Wilfred Creek, near BC Highway 19A on Vancouver Island. 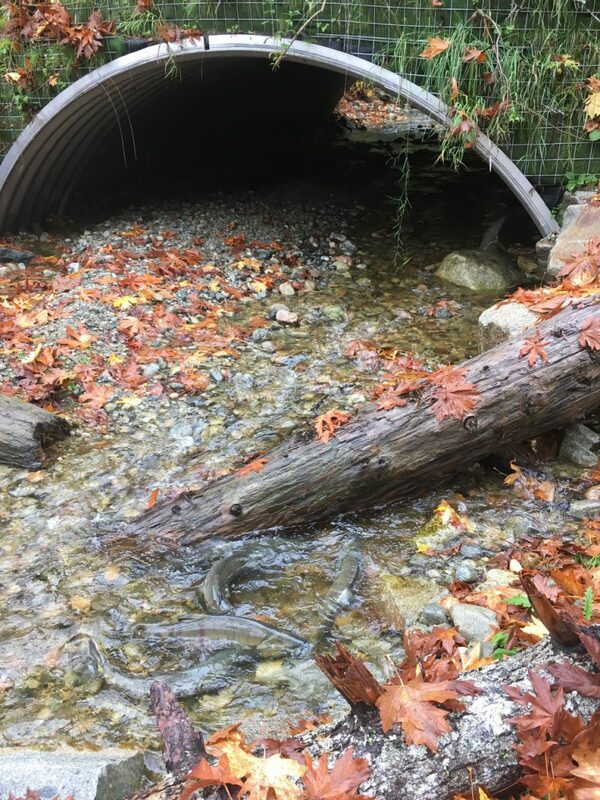 More than 75 stream crossings improved and restored for fish passage and habitat to enable species like Pacific salmon and trout to regain access to habitat upstream of culvert crossings that previously blocked fish passage. More than 600 hectares of environmentally valuable wetland, riparian, estuary, grassland and aquatic habitat areas along provincial roads secured and protected in-perpetuity. Restoration of habitats for provincially red-listed, blue-listed and federally endangered and threatened species and ecosystems. Restoration, protection and conservation of over 1,000 ha of sensitive ecosystems, including riparian areas, wetlands and fish and wildlife habitats. Habitat enhancements along more than 20 km of fish bearing watercourses and newly restored fish and wildlife habitats of over 200 ha. We haven’t done this work alone. In fact, we couldn’t have done it without the support of over 1,000 diverse partnerships created with all levels of government, First Nations, NGOs (such as Nature Trust and Ducks Unlimited), private landowners and a host of other important stakeholders. All of our partners provide meaningful contributions to these projects, including: in-kind contributions of labour as well as administrative and technical resources. In return, all partners receive education, mentoring, training, employment opportunities, as well as recreational use and stewardship of environmental sites. This type of cross-collaboration allows us to implement, share and develop innovate methods and best practices in and around sensitive habitats. A frog hatch uses one of our wildlife underpass structures to get to the other side of the road. If you have any questions about this, or any other work the BC Ministry of Transportation and Infrastructure does, let us know in the comments below. 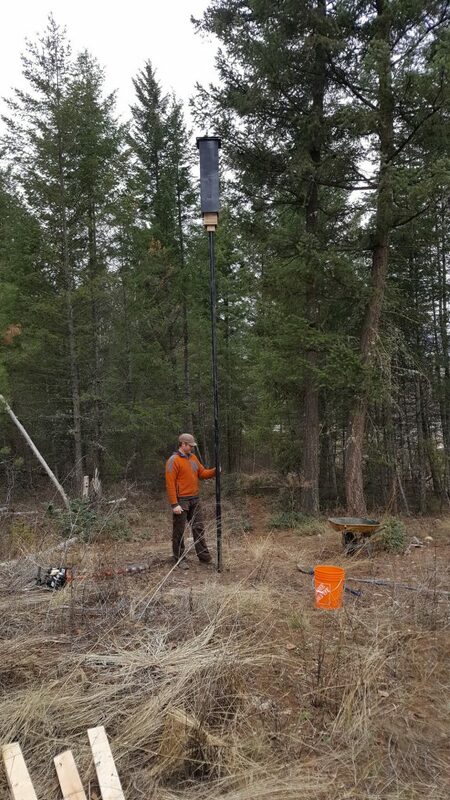 Installing a bat box at Harper Creek, south of Clearwater BC. Assembling the Roy Creek multi-plate culvert, near Royston BC. A picture of the French Creek road toe stabilization and habitat complexing at completion on Vancouver Island. i wonder when someone will open the fish ladder at okanogan lake dam.the fish and wildlife branch posted a letter in the herald a couple of years ago.a bioligest said the salmon would affect the kokanee in the lake.well how right he is but his thinking is all backwards.thoes fish are landlocked salmon.the more salmon in the lake the more kokanee.a percentage of the fry stay in the lake instead of going to the ocean.he thinks their a separate fish.where does he think they came from.after the dam was built the ladde was never opened but many salmon get under the dam gates.now with killer whales starving the need is more important than ever to open the ladder.spring salmon will swim along the bc washinton coast.i hope someone will clue in to this problem. Thanks for your interest in environmental projects near highways. I am seeking more information about the Environmental Enhancement Fund, on your behalf, and will get back to you. Apologies for the delay in getting back to you, on your questions about our Environmental Enhancement Fund (EEF), on TranBC. 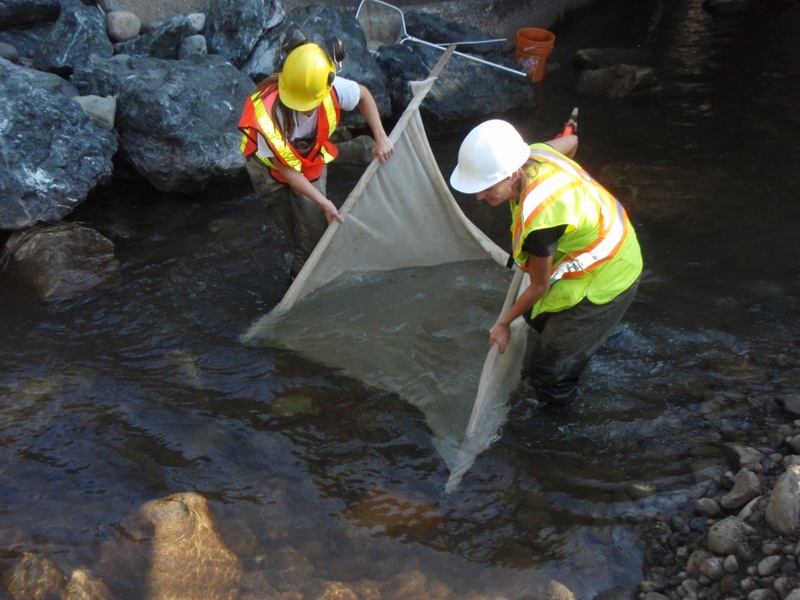 The fund does not have a formal application process but typically receives and develops projects through our Environmental Management Branch staff. Partnerships are key to many EEF projects, including with various organizations and individuals, and registered societies. The EEF is $2 million annually, has no lower limit for funding support, and through leverage has enabled partnership projects exceeding $2 million. For more information, please contact Leonard Sielecki, at leonard.sielecki@gov.bc.ca or 250-356-2255.